The graceful curves of the Swing C collection offer a classic style that's traditional yet distinctive in its non-conformity. It's a design that's flexible enough to complement any bathroom. 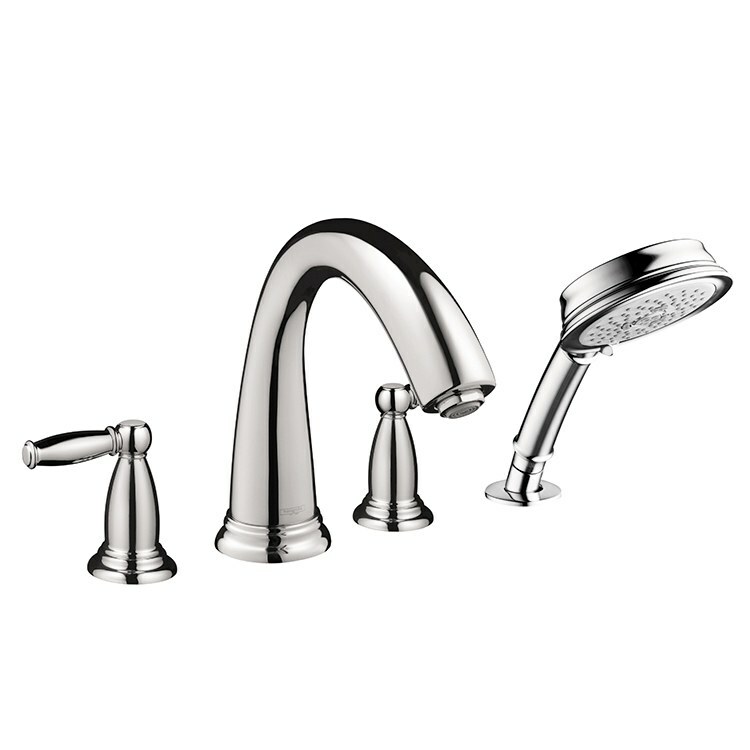 This Roman tub filler trim kit features two easy-clean lever handles and a diverter spout that arcs 8-1/4" high overall with an 8" reach. Handshower offers a choice of three spray options: Full, Pulsating Massage, and Intense Turbo. Mounts in 4-hole installations in decks up to 1-1/2" thick. Comes mounting hardware. Requires a rough-in valve which is sold separately.